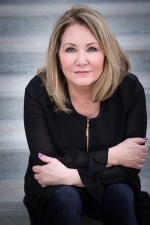 Deb Sheppard, internationally recognized medium, psychic, author and speaker, has connected thousands of clients to their loved ones in spirit, helping bring life full circle. Death is a part of every life, and Deb believes those who have crossed over remain connected to us––although they are on the other side, they are forever by our side. Deb has been tested and recommended by James Van Praagh and also has been told that her incredible ability places her in the top 3% most accurate in her profession. Known as an “empath,” Deb connects to the unseen realms through feelings in her body and her emotions. As a medium, she acts as a liaison, relaying comforting messages between the physical and spiritual worlds. As an entertainer, Deb’s sense of humor, light-heartedness and compassion create a safe and fun environment for all who attend her readings and events. Deb’s journey into mediumship began unexpectedly, when she and her husband had relocated to Colorado and were facing financial difficulty. Her family was on the verge of losing everything. She decided to look for answers outside of her life experiences––and the answers came: Deb began to feel spirits who had crossed over and, after much reading and exploring, soon realized she was a medium. In 2001, not long after understanding and accepting these abilities, Deb had an opportunity to be a guest on the Denver radio station KOSI 101.1 DJ Rashke, host of “KOSI After Dark,” was both open minded and skeptical, especially since Deb had not yet established a practice. Rashke took a risk and invited Deb on the show. Deb spent the next 15 years on KOSI 101.1 with a variety of DJs and to this day is extremely grateful to Rashke and Rick Martini, the program director, for taking a chance on her. The experiences changed Deb’s life and launched her career as a medium––on the air and off. During this time, Deb also worked for six years with Jones Radio Networks, her readings being syndicated on 150 national stations. She is currently featured on iHeart Radio’s 95.7 The Party “JJ & Deanna Show” and Deb Nabb’s “The Mutt Master” show, where she communicates with animals and pet parents that have challenges. News outlets have also gotten the word out about Deb’s abilities. She has made guest appearances on KUSA-TV Channel 9 in Denver, including “Colorado & Company” with Denise Plante, and other local morning shows. She’s been interviewed over 20 times on a variety of TV and radio programs, and her opportunities on media outlets continue to expand. Several publications have also highlighted Deb, her philosophies and spiritual understandings: The Healing Path Magazine, which also featured John Holland; Orbs A Personal Journey, a book by Donna Didomenico; Good to Go: A Guide to Preparing for End of Life, a book Jo Myers; and My Loved One Shines On, a Gift from Beyond, a book by Disa Van Orman. Deb’s mission to prevent suicide. One of Deb’s most passionate missions is to help prevent suicide and aide suicide awareness through numerous efforts and organizations. Deb’s life has been touched multiple times by suicide, and she intends to help change the stigma surrounding this in her work going forward. In fact, Deb’s soon-to-be-released book expresses her depth of understanding of the subject. Many of Deb’s clients are drawn to her because they, too, have been deeply affected by suicide. Much of her work focuses on helping people cope with grief and guilt when a loved one has died by suicide or helping them understand the mental illness that may have caused it. Deb also helps those contemplating such an act to find the hope, inner empowerment and purpose to live, and to live fully. Deb has been the featured speaker on the topic of suicide for multiple organizations and at numerous events, such as the Young Professionals Organization, Survivors of Suicide, Women in Business with Mrs. Sandy Dahl (widow of Captain Jason Dahl, the pilot of United Airlines flight 93 on 9/11), and at Cherokee Castle & Ranch in Sedalia, Colorado. Deb is regularly involved with the American Foundation for Suicide Prevention, including their “Out of Darkness Walk” each year. Filled with enthusiasm for helping others, Deb facilitates self-discovery through her Mentoring Program. She also participates in the community by mentoring intuitive kids and supporting teachers and school counselors through her program, “The No Labels Project.” Deb believes that if children are taught to embrace and develop their intuitive abilities, those skills can be used throughout their lives in so many ways. What Deb believes and how she connects. Throughout her own childhood, Deb’s mother gave her the greatest gift of all: an amiable sense of humor. Deb uses it to keep her audiences and clients entertained, to assist in the healing process, and to facilitate her connection to the other side. Of course, every medium has his or her own unique way of connecting. Deb believes that souls consist of energy, and the laws of physics prove that energy cannot be created or destroyed. Therefore, it’s her belief that our earthly bodies cannot forever sustain the soul’s energy. The body must die, but the spirit lives on. She also believes that we can live multiple lifetimes in one life and that no matter where we are on our journey, we can change our lives once we open ourselves to receiving. Whether we call it intuition, ability, God, Spirit, Divine, Energy, Universe, or a higher power of any kind, Deb believes everyone can connect if we are open to the answers. Having finely tuned her own ability to connect with those in spirit, Deb is able to pinpoint very specific personality traits and detailed information about the individual’s life. Those who have crossed over share what is currently going on in the lives of loved ones here on earth in order to validate without question that it really is them. They are there on the other side, yet still by our sides. Deb believes we are “Forever Connected” and has helped thousands with their journeys into understanding life, loss and creating fulfilling lives. Deb’s life is one of service, and she is forever grateful for all those who have reached out and touched her life with their abilities, love and support. She believes in and is open to life’s mysteries and synchronicities. Deb resides in Centennial, Colorado, and has two children, Sophia and Jake. She is finishing her soon-to-be released book that revolves around her understanding of suicide and helping all of us discover our life’s purpose. Several years ago I got a medium reading from Deb. She was very professional, sweet and she got me the results I wanted and more. It was the first reading for me and I didn't know what to expect. After I settled down, the relatives stepped forward, some expected and some very unexpected. The feeling after my reading was fantastic and so rewarding. Deb is nothing short of amazing! I am in her mentor program, “Bringing Life Full Circle,” and I believe it's the greatest gift I have ever given myself. She is an incredible, wonderful person and I wish everyone could see her at least once. Thanks for all you do, Deb. You are the best! Because of Deb Sheppard and her gift of being a medium, she helped heal my heart and soul. She brought peace and serenity back into my life after I lost so many loved ones. Her readings were 100% spot on. I would highly recommend anyone wanting to get in touch with your loved ones that have passed. Deb is the person to contact. She is kind, gentle and has a beautiful soul. I think the world of her. Deb Sheppard is truly an amazing and talented woman! Joel A. Young Professionals Organization Denver, Co.
Deb Sheppard presented to our business group and did several readings for audience members. The readings were fascinating, sensitive, and seemed very helpful to the recipients. Her discussions of the topic of psychic abilities and their applications were very interesting and thought provoking. I strongly recommend Deb for her psychic abilities and also her ability to communicate with individuals and groups. I wasn't sure what to expect last night and was definitely open but hesitant. You called me up to the stage when my daughter came to you. What you shared from our beautiful Rachael was healing for our whole family. You told me persistently to ask my living younger daughter about her leg and then specifically said to check for a bruise. This would be proof that her sister is watching over her. I watched you grab your left leg below the knee but I am not sure if you specified the left one. My daughter came home and I told her my experience with you and she seemed very skeptical. I asked if anything was wrong with her left leg and she said no twice. Then she said, "oh, I have this bruise that I got yesterday but I am not sure how I got it." She rolled up her pant leg and showed me a fairly large bruise below her left knee. I had forgotten to ask her about a bruise but remembered right then that you said to look for a bruise. I told her that meant that her sister was watching over her. I saw almost a happiness come over her that I have not seen in a long time. Thank you for the messages from Rachael and helping in our healing journey. I first met Deb Sheppard on November 13, 2003 when she answered her door to welcome my wife and I to our first medium session. I had made the appointment three or four months prior to the session and had been anxiously anticipating this meeting. I tend to be skeptical but try to maintain an open mind about things unknown to me, and at this juncture I had only recently begun to explore the world of spirituality because of a life-changing event that took place in my life. I had made the appointment with Deb via her website using an email address I had recently created expressly for this session with a profile that contained entirely false information; the name, address and everything else was entirely made up. Since all responses to the email would come back to me, I wasn't worried about receiving my appointment information but no one would know my true identity. My thinking was, if Deb used some sort of investigative means to help her in her work she would be led down the wrong path for my session and I would know she was not a “true” psychic. I'm an analytical sort of guy with a degree in mathematics. My background also includes an enlistment in the US Air Force. I was assigned to the USAF Security Service where we essentially “listened in” and did intelligence gathering for the NSA back during the time of the cold war. So, yes, it could be said I have trust issues. When we sat down for the session she asked us our first names and explained how the process worked. Deb relaxed, took a deep breath and began. In the space of that hour we were reintroduced to relatives (mostly my wife’s) many who had passed many years ago. Many of the validations Deb revealed were very specific even to her getting some very unusual names accurate with details about their lives and how they died. I was getting very excited about all this but was also very antsy because I really only wanted to hear from one person who to this point had not made an appearance yet. Then Deb was taken aback and said that someone just came in, sort of pushed the others aside and said, “They are wanting to hear from me”. Deb described the spirit as very powerful and then exclaimed, “I love her energy”. For the next 40 or so minutes I was spellbound. We got what we came for. We were hearing from our beloved daughter, “Ginger”, who had been killed in a car accident in September of 1999 at the age of 20. I wanted to stay in that room with her presence forever. Through Deb, Ginger recounted events and details of our daily lives to validate for us that she does indeed exist on some plane and can interact with us. Deb gave us specifics about Ginger’s accident including clearing up details that cleared up many questions we had. Based on the details revealed, it was obvious that Ginger’s spirit visits us and her surviving sisters often and is involved in our lives regularly. I felt a measure of comfort and peace for the first time since our child’s death. Our baby was not entirely lost to us. I will never be at ease with Ginger’s death but it was very reassuring to KNOW that her spirit lives on and our mutual love keeps her close to us. I desperately needed assurance of her continued existence and the session with Deb gave me that more than anything had done before. When we left the session we were both having difficulty concentrating (we got lost immediately) so we pulled into a restaurant to gather our thoughts and review what we had encountered. It was a wonderful experience and I will be forever grateful for the gift of awareness that Deb gave me. A top psychic medium! I've received psychic readings from Deb that helped me navigate through challenging times--my divorce and leaving my corporate job, leading to a happier, more fulfilled life. Her mediumship readings are spot on and provided healing and closure when my loved ones crossed over. Whether you're starting your spiritual journey, needing direction in life or connecting with a loved one, Deb is the one! My husband and I had never visited a medium but we both felt Deb Sheppard was authentic and on target on all counts. She was a tremendous help and saved us a lot of money that would have been spent on therapists. Deb was very clear on letting us know what to expect from our medium session and she came through each time on things that validated our loss. We came away with a better understanding so we could start the healing process. We are planning to schedule another private session as soon as possible. Deb does not solicit but does offer help if you need it. I'm finding an array of aids and CD's on various subjects. Bottom line - SHE SAVED MY SANITY! Deb is the real thing. I have never come across a more effective psychic medium. She convinced this skeptic, especially after the detailed evidence that came through. Wow!!!! I had a medium session with Deb, and the one session was better than 5 years of counseling. I was 100% for sure talking to the dead with her. There is zero doubt in my mind. People/animals who I would never guess showed up to talk and help me heal. The thing that surprised me was her insight and her advice she gave. She was very realistic and could give real life advice, not like someone you would picture who did this. Her head is not in the clouds. It was the best time and money I have ever spent on myself. I first encountered Deb Sheppard in 2003 when I was searching for answers to ultimate questions: "Why did my child die?" "Does she exist somewhere as a spirit?" And the most burning question to me "Is she okay, happy, safe?" I was very skeptical and guarded - I was willing to listen but was not going to guide her to answers I wanted. The session was amazing, enlightening and extremely fulfilling. Deb gave very specific information, often providing facts that only I or my wife knew. She also provided facts that were unknown to us at the time but were later confirmed by eyewitnesses at my daughter's accident scene. I came away not just believing, but KNOWING my child was still around and was safe. As a bereaved father I can think of no higher or more powerful validation. I will never be "over" the loss of my girl but am at peace knowing she is safe in spirit and I will connect with her again. Deb is an amazing psychic and mentor. I participated in her mentoring program and it changed my life. I was in an unhealthy marriage, fading away as a person. I was lost and felt very alone. She taught me to empower myself, how to reconnect with my own intuition and to find myself again. She literally transformed my life. I am healthy spiritually, physically and emotionally. I highly recommend her mentoring program. I have lived in the Denver Metro area since 1990 and have seen many different psychics; but I have NEVER experienced the most AMAZINGLY, ACCURATE psychic as I have in Deb Sheppard! My first experience was witnessing Ms. Sheppard publically perform 26, wickedly spot on, 5-minute individual readings in a 2 & 1/2 hour conference. I was so impressed with this first experience that I elected to participate in her Mentoring Programs. My life since this program has gone from single to married, childless to twins, renter to home owner, and someone' employee to employing others... all in a three year time span. If you are looking for your RIGHT life path, Deb Sheppard is the ONLY psychic who will accurately show you your way. DebSheppard is simply the most talented Medium/Psychic ever. She was authentic and on target on all counts. Deb was very clear on letting me know what to expect from our medium session and she came through each time on things that validated my losses. I came away with a better understanding so I could start the healing process. She also helped me navigate many life changes, I had a breakup, sold my house and closed a business in a short time, she was a tremendous help. I highly recommend Deb.